United is the last word I'd use describing the state of affairs in America. People often talk about the polarization between Democrats and Republicans, but it goes much deeper than that. Americans are also divided by where they live, their religion, ideologies, and race. Look at the Parkland shooting in Florida and compare that to what happened at Santa Fe High School in Texas. The Parkland students organized and protested the slaughter they said was because of lack of gun control laws. But it was a different story in Texas. No students talked about gun control after the massacre. No teachers of local authorities talked about gun control, instead opting out for prayers...like they've made a difference in the past. States and cities have been standing up to Trump's racist agenda and his assault on so-called sanctuary cities. That's ended up being a battle between states rights and the federal government under a dictator. The latest knee-jerk reaction to that is happening in Illinois where some cities are declaring themselves sanctuaries for guns. True story. In the relatively short time that Trump has been assaulting the rules of the land and carrying out his racist agenda, the country has lost it's moral bearings. Nazi's are good people too, according to Trump. By giving the alt-right the room to crawl out from beneath their hidden places in society, the Trump regime has let the genie out of the bottle. California has been talking about succeeding from the United States and becoming a country in it's own right, with the 5th largest economy in the world. 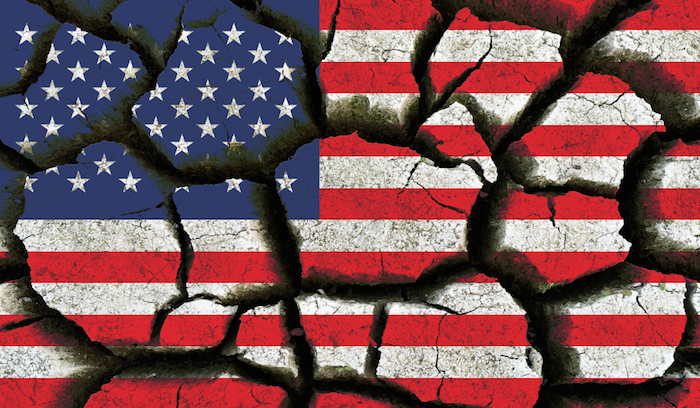 American unity is increasingly becoming a thing of the past. Most of the southern states would willing succeed to establish a new confederacy if they thought they could pull it off. It's more than just different dialects separating regions from Maine to Texas in the Trump era. Extremists on the right and left have become emboldened enough to seek public offices, running on lies and people's fears. In our national dialogue you have the uneducated attacking colleges and anything they suspect is "elite," like Hollywood for instance. 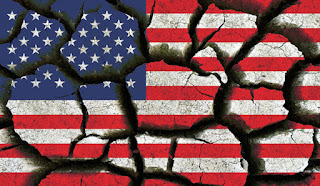 As a result of the things I mentioned above, our nation has become so fragmented that it's no exaggeration to say we are no longer The United States of America.